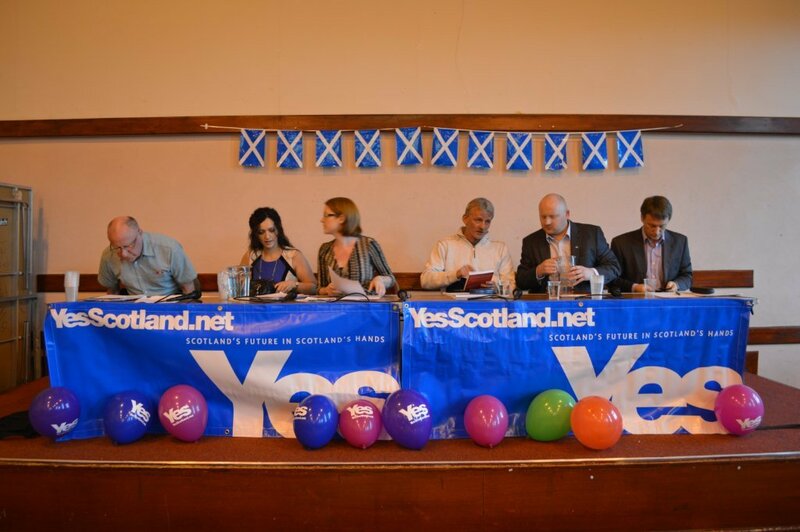 The Dell Farquharson Centre in Dunfermline recently hosted a packed Yes Scotland meeting. Around 200 people of all ages came together to share a vision of “a fairer, more prosperous” independent Scotland. 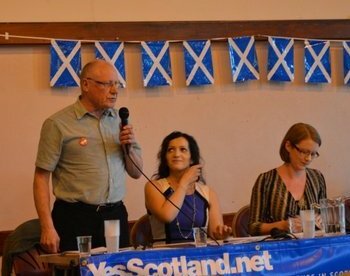 Yes Scotland Chairman and former Labour MP Dennis Canavan headed the panel, while former SNP MSP Shirley-Anne Somerville, a director of the Yes campaign, convened the meeting. Prominent independence supporters from across the political and business spectrum – including solicitor Tasmina Ahmed-Sheikh, Allan Grogan of Labour for Independence, Trade Unionist Derek Durkin and international businessman Ivan McKee from Business for Scotland – took a range of questions from the audience. As expected, Mr Canavan replied in a rare negative from the Yes campaign. Commenting afterwards, Mr Walker said: “The panellists agreed they were all seeking a fairer, more prosperous Scotland than can ever be achieved under Westminster rule, a view with which I heartily agree. “Yes Scotland encourages healthy debate on tactics and priorities, but supporters of Independence unanimously agree that release from London control is now absolutely essential for social and economic progress in Scotland. Enter your email address below to receive notifications of new posts by email. AUTOBIOGRAPHY – VOLUME 2 IS COMING!